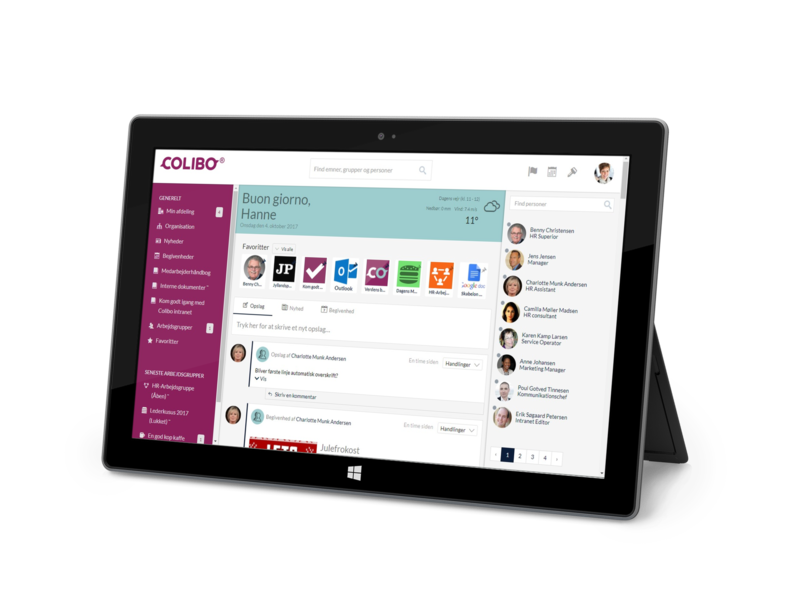 Learn about the benefits of Colibo's enterprise collaboration tools. Engage employees and drive team productivity to new heights. Engage employee by making information relevant and available to them. Break down silo-communication and turn disconnected teams into cohesive teams that perform with the proper enterprise collaboration tools, all in one place. Colibo is first and foremost a social intranet. The features allow you to create digital teams across the organisation and make a knowledge sharing culture possible among your colleagues. The Intranet is built with a simplistic and intuitive design, which makes it easy for everyone to incorporate and use in their everyday workflow. Just as you clock in every morning at your physical workspace and cooperate with your nearest colleagues, Colibo allows you to do the same online. Now, every colleague is close to you, no matter how far the physical distance is. Therefore, Colibo is a powerful collaborative platform that functions as the hub for all communication and knowledge management. With Colibo, every colleague is digitally sitting right by your side. Get instant access to shared files, discussions, events and more. Optimised for you. And you only. No more irrelevant information passed around. Handle documents easily across locations and get instant access to all users. Synchronize your files while offline and make sure you always have the latest version of your documents available. Get information about all your coworkers from skills, departments, and contact details. All information stored on your intranet is easy to find. And quickly, too. Make information relevant and available to everyone. Get to know your colleagues in other locations by joining social groups on the intranet. Turn disconnected teams into cohesive teams that perform. Create digital teams across the organisation and locations. Make a knowledge sharing culture possible among your colleagues. Every colleague is close to you no matter how far the physical distance. Share knowledge, work smarter and save time. Communicate company-wide with targeted communication. 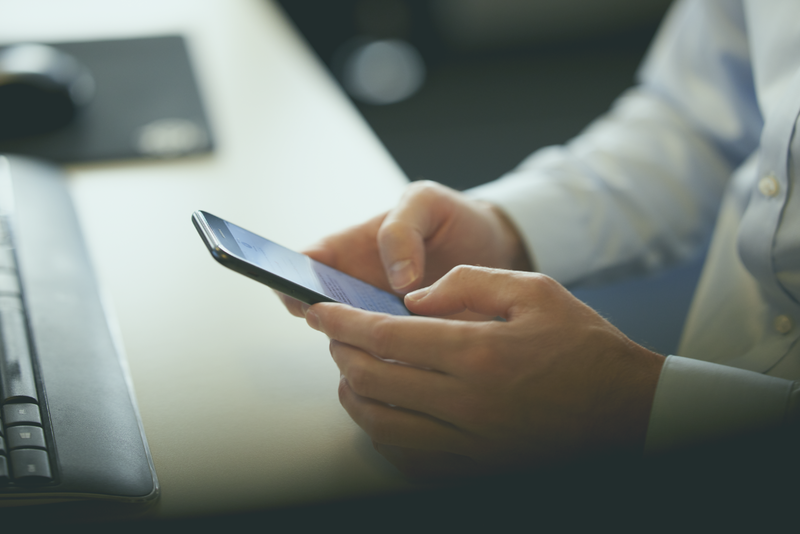 Encourage dialogue with two-way communication through personal newsfeeds. Easily find the people with the skills and competencies you’re looking for. Create workgroups whether it's for big projects or just a place to discuss the next company retreat. Organise groups that are open, closed or hidden. Build a digital workplace your employees will love and use. Retains skilled employees using with the right collaboration tools. Combine social collaboration with easy and structured file sharing. Drive productivity with structured content, personal newsfeed, and workgroups. Make it easy to solve daily tasks in a timely manner. 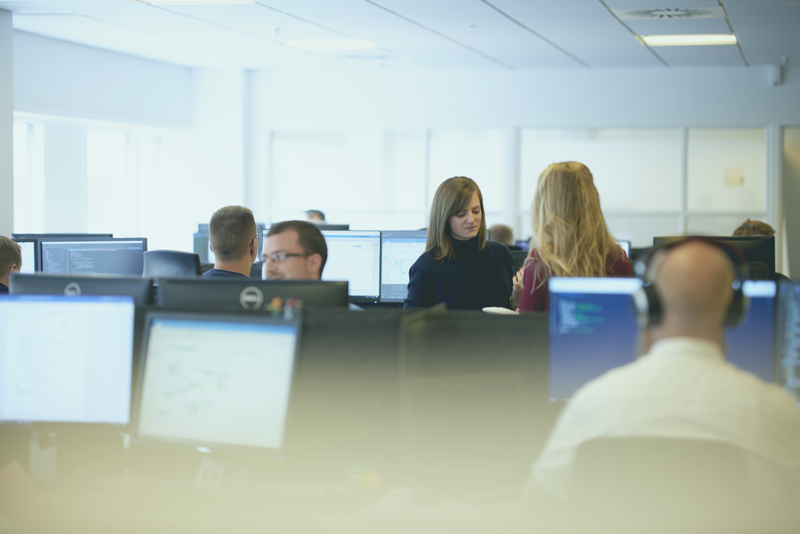 Bring together people, systems, and information into one centralised digital workplace. Invite internal and external users to collaborate on projects, share files, ask questions, and comment on your progress. With Colibo Workgroups all team members have access to relevant information. Decide who gets to see what with member permissions and privacy settings. Ensure access to the latest and most current version of documents. Simplistic and intuitive design makes sure everyone can join without traning. Communicate company-wide with targeted communication. Encourage dialogue with two-way communication through personal newsfeeds. With Colibo, your co-workers are always close by. In the digital people directory, you can easily find the people with the skills and competencies you’re looking for. And their phone numbers, too, of course. Now, every colleague is close to you, no matter how far the physical distance is. Every employee can create workgroups whether it's for big projects or as just a place to discuss the next company retreat. A group in Colibo works exactly the same as a group on Facebook or other social media. Members of the groups can provide new statuses, communicate, and share documents and activities. You can organize groups that are open, closed, or even hidden, depending on the purpose of the group. Create one point of entry for your team collaboration tools to secure effective knowledge sharing and employee engagement. There is a wealth of collaboration tools available on the market. Some are great for corporate chat and quick messages, others for task management or file sharing. When collaborating in larger enterprises, the number of different systems that you need to know and locate often result in fragmented knowledge sharing and silo communication. Choose an enterprise collaboration tool to improve collaboration in large organisations and use one system to communicate across teams, manage projects and tasks, and share files securely. Invite people from outside your organisation to collaborate on projects, share files, ask questions, and comment on the progress you are making. With Colibo Workgroups, all team members have access to relevant information. Create and share content with the right people, at the right time. Set up member permissions and privacy settings to choose between open and closed groups. Keep track of the progress you are making with your content creation. Version control empowers all users with continuous access to the latest and most current versions of documents. But don’t worry, you can always roll-back previous versions of your documents, if you need to. Colibo is a social intranet. As opposed to old-fashioned intranets, where communication is top-down, and everybody is fighting to post news on the home page to get heard, we take social seriously. Colibo works in large enterprises (and small, too) because of its simplistic and intuitive design. Colibo combines the functionalities that modern corporations require to grow with the modern employee’s need to achieve personal goals and ambitions.